Teach your little one about the importance of charity while putting a smile on their face with Kahiniwalla. 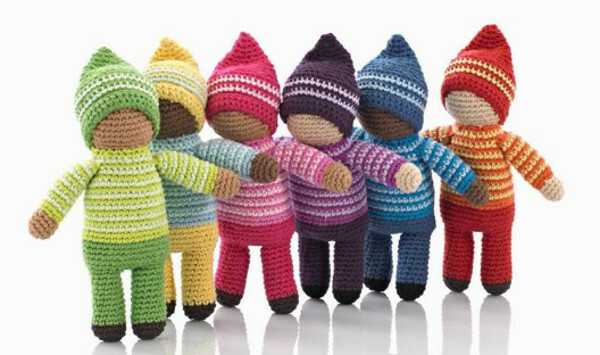 Kahiniwalla, meaning travelling storyteller, sells gorgeous fair trade knitted toys, hats and blankets. These bright, handmade toys are created by talented Bangladeshi women striving to live independently and support their families. These impoverished women are employed by Hathay Bunano, a non-profit fair trade organisation based in Bangladesh. Cuddly and cute, these beautiful toys make a special gift for newborns or birthday presents for toddlers. When these children are old enough, you’ll enjoy telling them the story behind their gift and why their toys are much more special than those purchased at the local shopping centre. 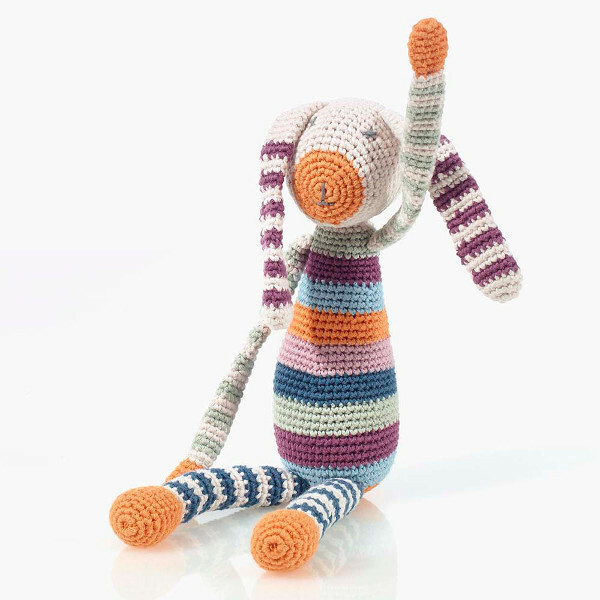 Kahiniwalla’s newest products in their Pebble range for babies and children include the floppy-eared, lovable bunny. With a fun rattle inside, this bunny is machine washable, made of organic cotton yarn and sells for $23.50. The pixie baby rattle comes in six bright colours, including daffodil, birch and rose. They sell for $17 each. 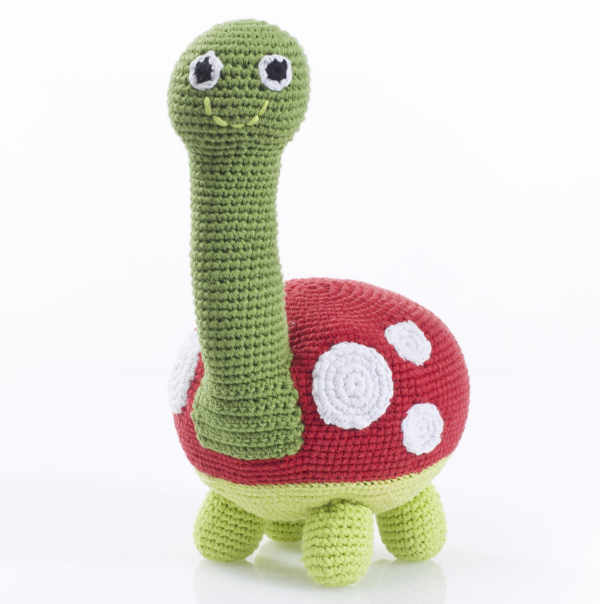 With its big smile and long green neck, the comical giant turtle is tons of fun. Think of this one as the new favourite toy to cuddle at night. It retails for $43.60. 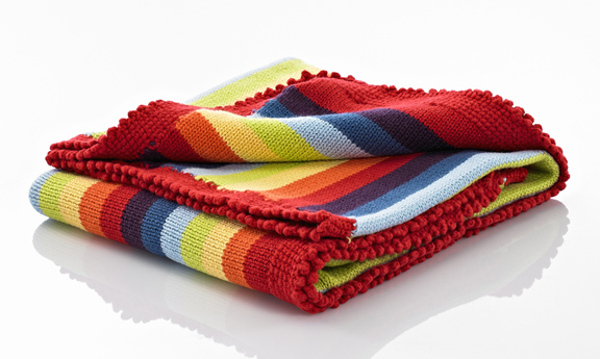 If you’re planning to purchase these toys as a gift, a great add-on can be found in Kahiniwalla’s blankets and hats. I love the rainbow baby blanket. At $55.50, it’s unisex and will brighten up any pram during a winter walk. From knitted toy cars to fairy tale-inspired dragons, Kahiniwalla has something to make any child happy.